The Edgerunner eSwoop or eClassic: a versatile, do-it-all, ready-for-anything customized vehicle designed to handle whatever you want to haul—and evolve with your needs. 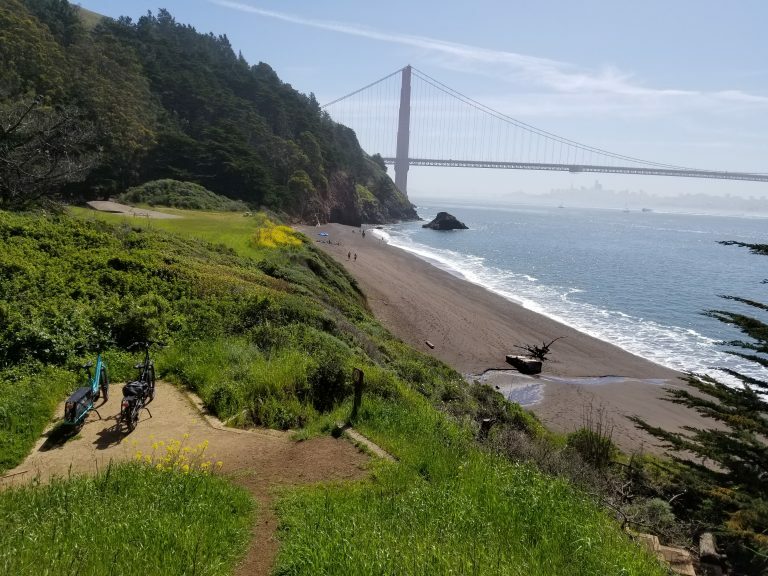 We simply cannot find a hill this bike won’t climb. Last year we were modifying bikes for SF use by swapping out the cassette for a much lower geared 42-tooth cassette. This year that gearing comes standard. 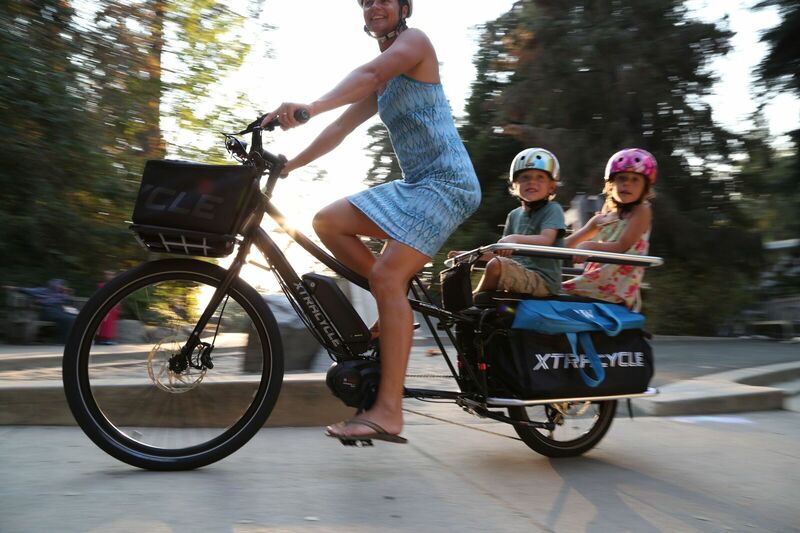 This e-cargo bike is perfect for families, delivery services, hauling pets, or anything else you can think of. The possibilities are endless. The Swoop is new for 2018 and has a slightly lower standover height. That’s about it. People get hung up on this, but it’s not that hard. The CX has a slightly higher torque, which means you’ll be able to climb steeper hills with heavier loads, but a top speed of 20mph. The Speed has a 28mph top assisted speed, but lower torque, and you will be required to wear a helmet. The reality is that unless you’re pushing the limits, gearing is way more important for hill climbing than drive unit. 2018 Edgerunners come with a 42-tooth low gear, which will get you up almost any hill. If you choose the Speed option, you won’t be zipping around at 28mph, but you will also not experience a loss of power when you’re trying to change lanes or merge into traffic and go over the 20mph limit of the CX. Ultimately, the Speed gives a much more natural bicycle-like experience. 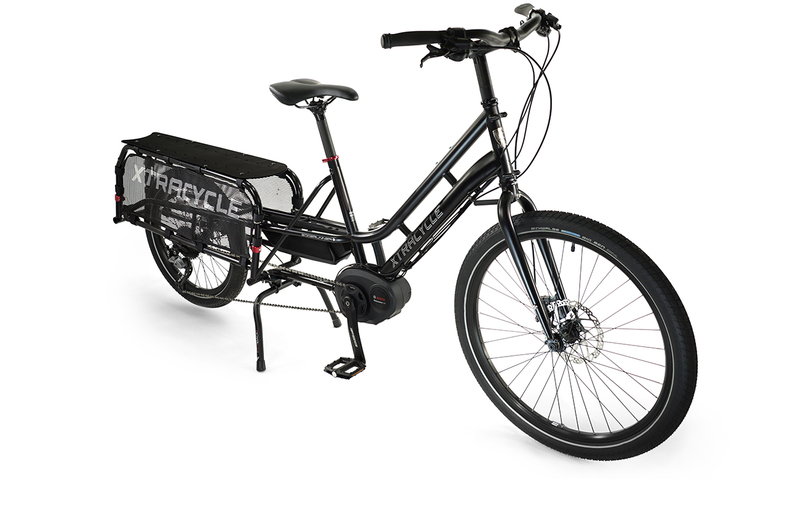 If you’re still unsure, this is definitely something that a test ride will clarify, so please visit the shop. How far will you go? That’s the only question here. 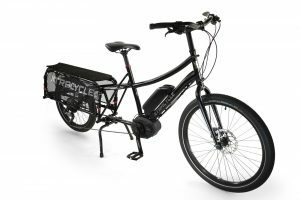 Bosch makes two batteries, one with a 400 watt hour capacity, and one that’s 25% more powerful with 500 watt hours. If you need more range, you can get a dual battery setup and mix and match for 800 and 1,000 watt hours. Exact range is impossible to predict, but range anxiety is a thing. If you’re never going to go more than 30 miles between charges, save money and get the 400w battery, but 500 is definitely the sweet spot if you might forget to charge up once in a while, or you want to get out of town with the kids sometimes. And don’t worry, if you find out later that you need more range, adding a second battery is an easy upgrade. 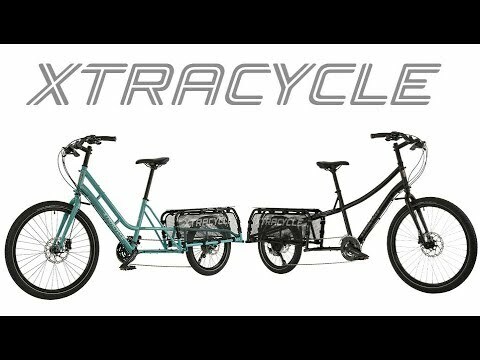 Xtracycle actually uses a single frame, but installs different stem and seatpost options for the different sizes. 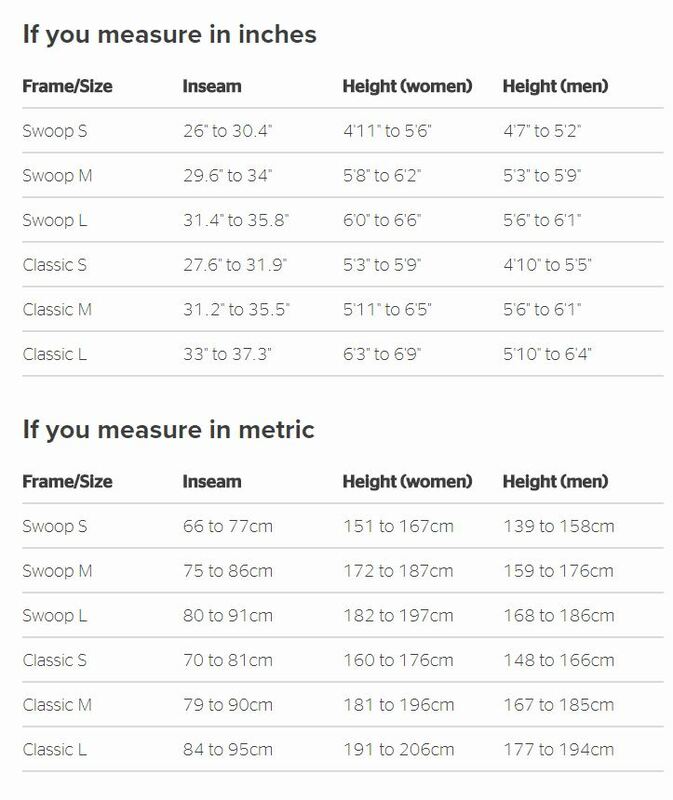 This is way better than multiple frame sizes because when the bike is sold it can be easily modified for the new owner regardless of their height. 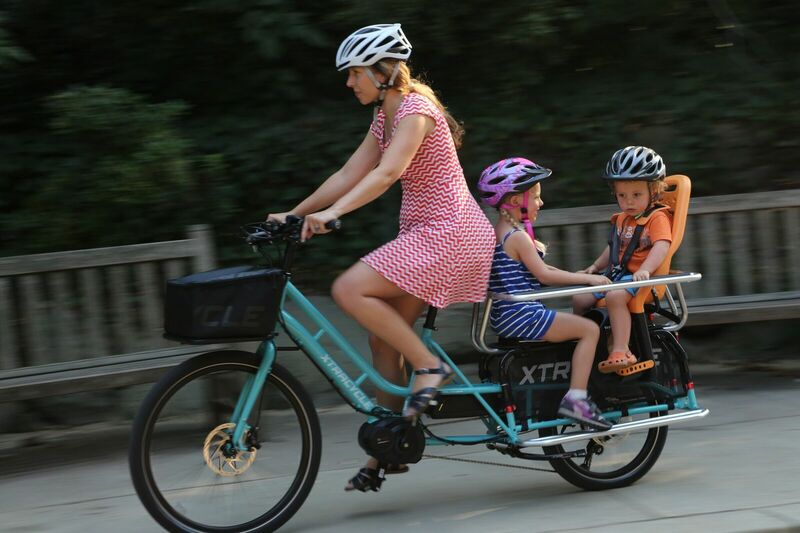 If there are two of you, it’s best to fit the smaller rider first, because being too stretched out is worse than sitting more upright. Powerful, efficient, and ridiculously fun Bosch electric-assist drive system.